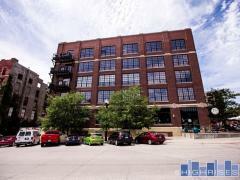 Tudor Arms is an elegant 3-story condominium building in the Blackstone District of Omaha. Tudor Arms features in-unit laundry and a beautifully landscaped courtyard. Have any comments or questions about Tudor Arms? Ask your question and/or share your thoughts about this Building. Hi! I was wondering if you had any 2-bedroom vacancies starting in January 2018? Also, how much is rent and what is included? Thank you!